Washington, D.C. (April 3, 2018) — In an effort to help more climate-vulnerable developing countries gain access to climate finance under the Fund’s pioneering Direct Access modality, the Adaptation Fund is launching a pilot programme to empower countries through the accreditation process by providing enhanced, targeted and tailored readiness support. Direct Access allows developing countries to access funds and develop adaptation projects directly with the Fund through accredited national implementing entities (NIEs) based on country needs and priorities. The Fund has accredited 28 NIEs to date — 46% in least developed countries (LDCs) or small island developing states. This has helped open access to climate finance for the most vulnerable countries by building national capabilities to identify, design and implement effective adaptation projects. The one-year pilot ‘Readiness Package’ will be launched at a workshop held April 4-6 in Nairobi, Kenya. The Adaptation Fund will co-host the workshop with its NIE for Kenya, the National Environment Management Authority (NEMA). 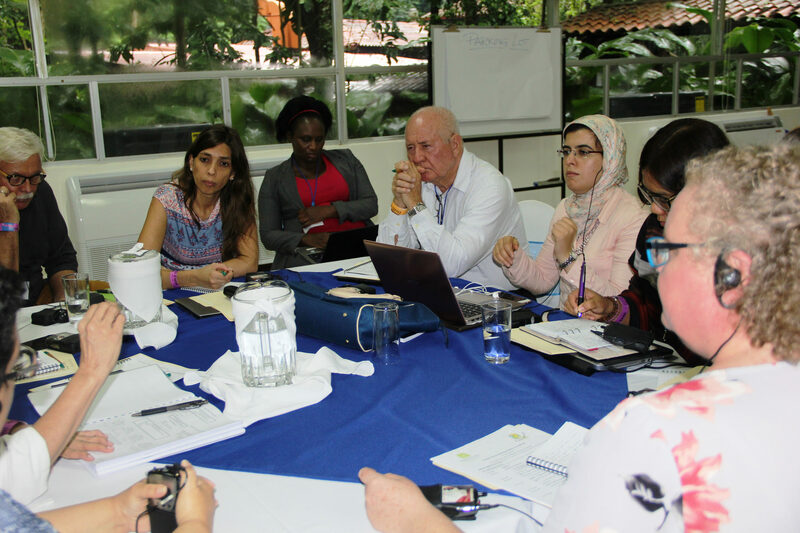 The workshop is expected to gather representatives from 24 developing countries, including 13 countries that have expressed a strong interest to progress further in the accreditation application process, as well as 11 NIEs already accredited with the Fund that are eligible to provide South-South peer support with dedicated grants provided by the Fund. Accreditation experts and Fund staff will engage closely with developing country participants through interactive discussions to jointly identify specific challenges and gaps faced by prospective NIEs in attaining accreditation, and review the suite of tools under the Readiness Package –which could be used to address such gaps. The pilot features a US$ 100,000 grant disbursed via an intermediary through which select developing countries can receive support materials, individualized technical assistance, peer support and guidance to navigate the accreditation process of the Fund. Calls for expressions of interest to participate in the pilot phase of the readiness package for both accreditation applicants and an intermediary will be launched during the workshop. It is appropriate that the workshop is being held in a region of the world that is particularly vulnerable to the negative effects of climate change, including extreme rainfall variability, droughts, floods, increasingly intense storms and sea level rise that have dire consequences on food and water security. Nine of the countries expected to attend are from Africa. Over 60% of the Fund’s current allocations in Africa are in LDCs. The primary focus of the Fund is supporting concrete, localized adaptation projects to those that are most vulnerable to climate change, but least prepared to respond. Many of its projects are innovating adaptation solutions on the ground in vulnerable communities for the first time, creating valuable lessons and best practices that can be shared and scaled up with other resources. For example, in Kenya together with NEMA the Fund is building resilience to drought through climate-resilient water management systems and reducing vulnerability to sea level rise by managing protective mangrove ecosystems. The Fund’s innovative regional project in Kenya, Uganda and Ethiopia is also helping small farmers enhance food security to drought and natural disasters, while another project in Burundi, Kenya, Rwanda, Tanzania and Uganda empowers vulnerable communities to enhance water management and adapt to increased rainfall variability. The workshop will include a site visit to the Kenya project. A second follow-up ‘hands-on’ workshop on the Readiness Package will be held in June after the participants in the pilot grant programme are selected through a transparent, country-driven and targeted process. The pilot provides enhanced comprehensive assistance in addition to the Fund’s South-South Grant Programme, which led to the successful accreditation of Banque Agricole du Niger last November following high quality peer-peer support provided to Niger by the Fund’s first-ever accredited NIE, Centre de Suivi Ecologique of Senegal.